As you plan for your arrival and stay at the University of Mississippi, one of the first things that you will probably consider is housing. This section provides you with various housing options and temporary accommodations and requirements. Your choice may impact you as an international student on campus, especially with regards to accommodations during breaks and meal plan choices. Students who have fewer than 30 semester hours are required to live on campus for two consecutive semesters – Fall and Spring or Spring and Full Summer (Summer I and Summer II). If the student will still be classified as a freshman after completing the stated requirement, then student housing must be notified no later than July 15 to ensure that a housing exemption is placed on the student’s account for the following fall. This allows the student to avoid charges from student housing. Students with children (proof required). Unmarried freshmen (except commuters living with parents or guardians) who enroll and are found to be living off campus without an authorized exemption from the Housing Appeals Committee will be administratively charged for housing. All residence hall rooms are equipped with furniture and utilities essential for comfortable living. Students must provide their own linens, pillows and personal items such as telephones, radios, and lamps. Housing assignments will not be made unless the student has been admitted to the university, submitted the housing application via MyOleMiss and paid the housing application fee ($75). 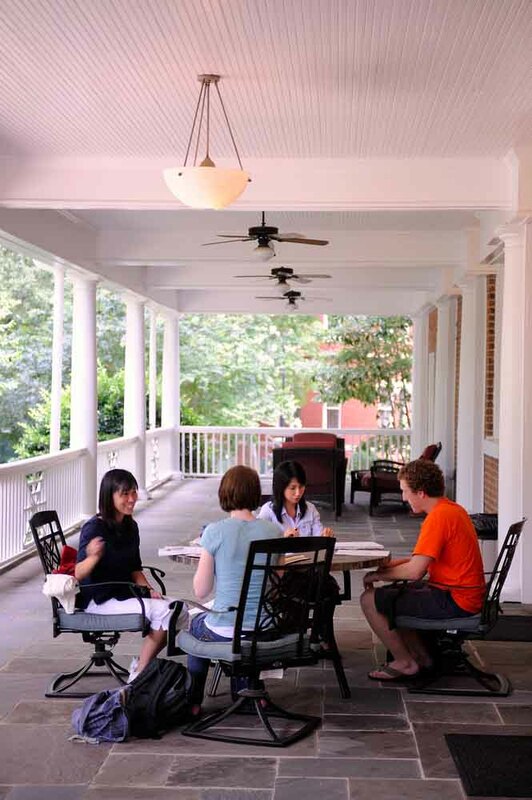 As you consider your housing options, we encourage you to consider the Global Perspectives Living Learning Community or the other Living Learning Communities on campus. Please note that other on-campus residence halls are restricted by gender; some are accessible throughout the academic year, while some require students to move into vacation housing during the fall, winter holiday and spring breaks. Some residence halls require the particular residence hall’s meal plan, some do not. Some residence halls offer shared rooms and bathrooms, others offer greater personal privacy, while others mirror apartment-style living. Visit the Department of Student Housing for information on how to apply for on-campus housing. Like most apartments, utility services such as electricity and water service require that you make a deposit when setting up an account. Deposits usually equal the cost of 1 month to 2 months of service. Some apartments are considered within Oxford City Limits and use Oxford city utility services, while others will be included with the Lafayette County systems. Also, some apartments provide utilities included with the cost of rent. Check with your apartment complex or landlord’s office to see what utilities are necessary and which utility providers you must use.